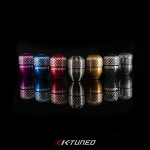 It is no secret that K-Tuned is in close contact with the drivers of some of the fastest import race cars in the world. 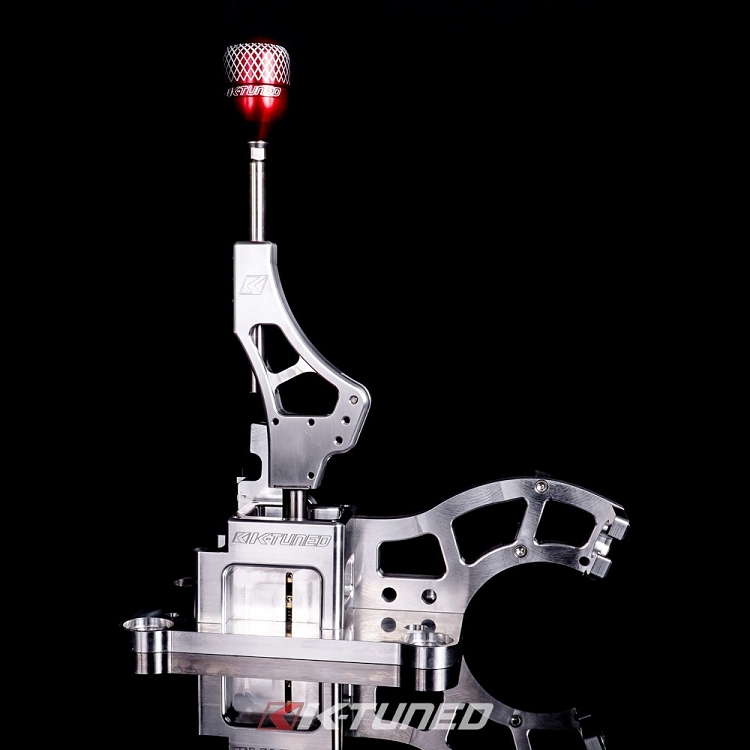 So when Spoon Sports of Japan asked us for a Billet RSX Shifter to use in an endurance road race car they were working on, we graciously accepted their request. 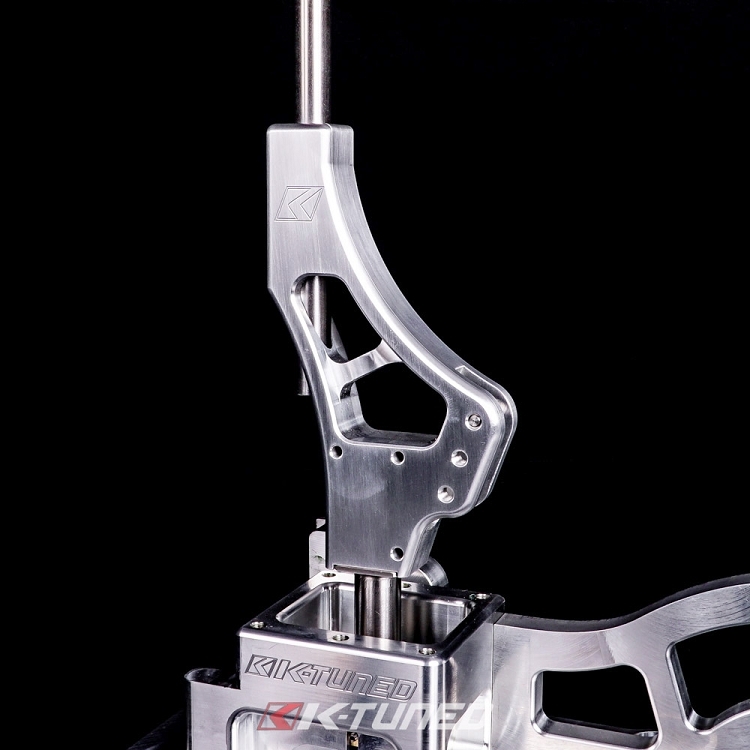 In conjunction with Spoon Sports, feedback from several other racers influenced and accelerated the design of our Race-Spec Billet RSX Shifter that was already on the design table. 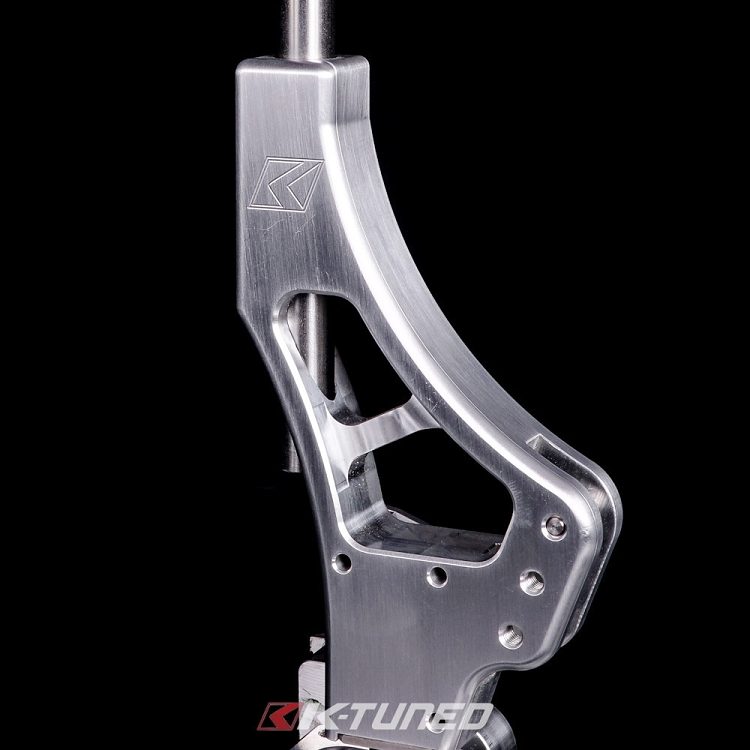 At a quick glance, the shifter closely resembles the original design with a few changes made to the shift lever and elbow to support the high demands of race cars. 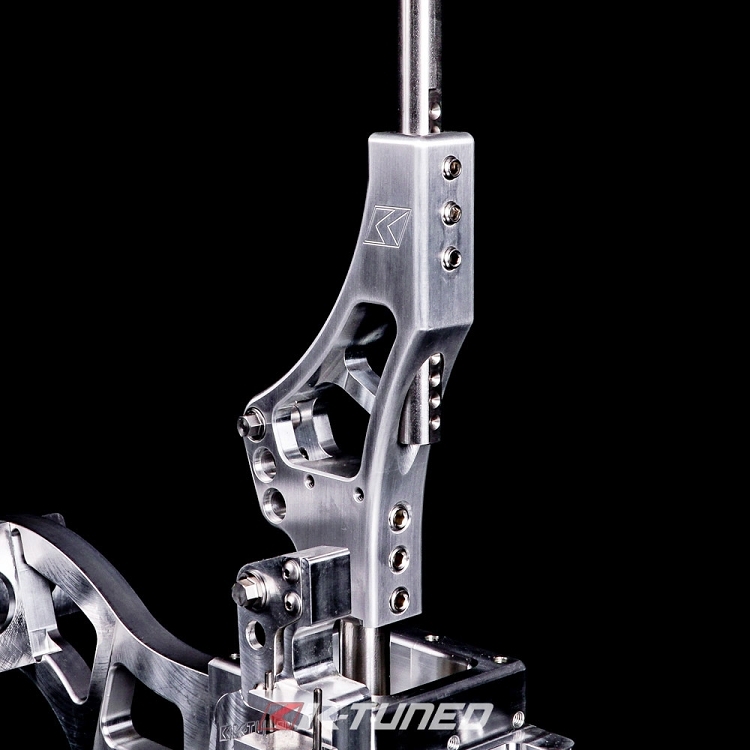 The Race-Spec Shifter uses a simpler fixed elbow position, which is only height adjustable and ideal for circuit racers who really like to use the tallest setting. 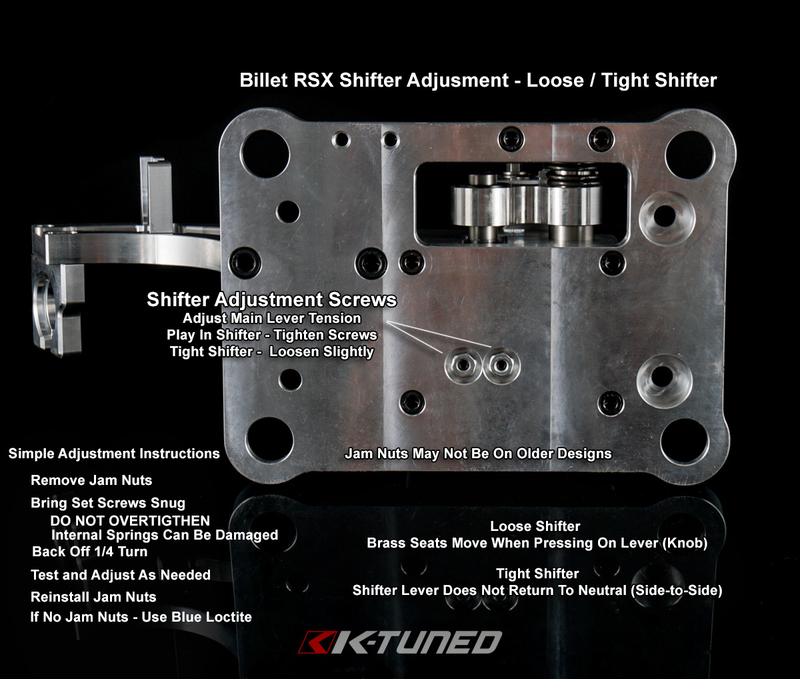 For drag racers, this design is perfect for heavy shifting in cars with dog box transmissions and straight cut gears. Unlike a stock transmission, most of us know that you can't shift a dog box setup with light hands. 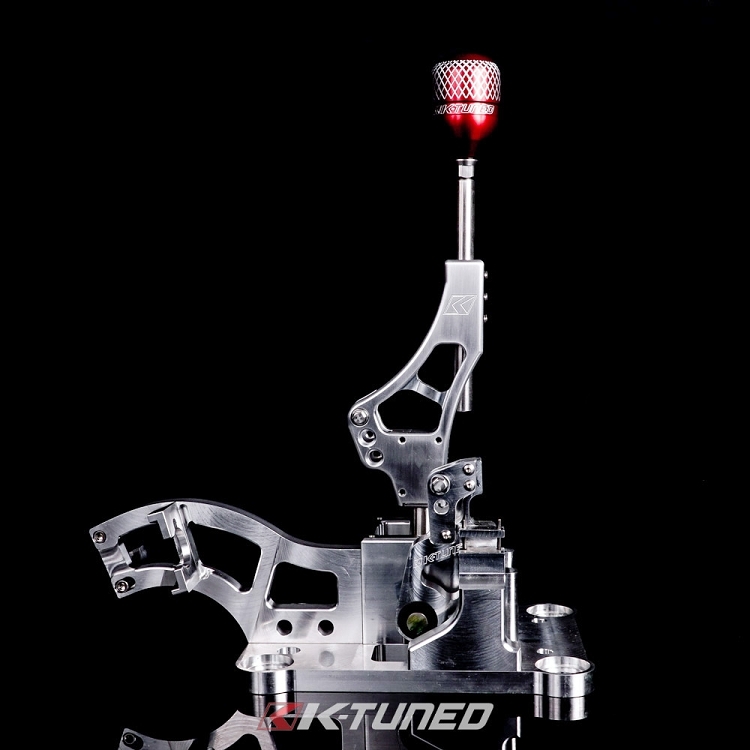 The K-Tuned Pro Billet RSX Shifter is a direct replacement for the OEM 2002-2006 RSX-S shifter box and was been designed to work with both factory and aftermarket shifter cables. 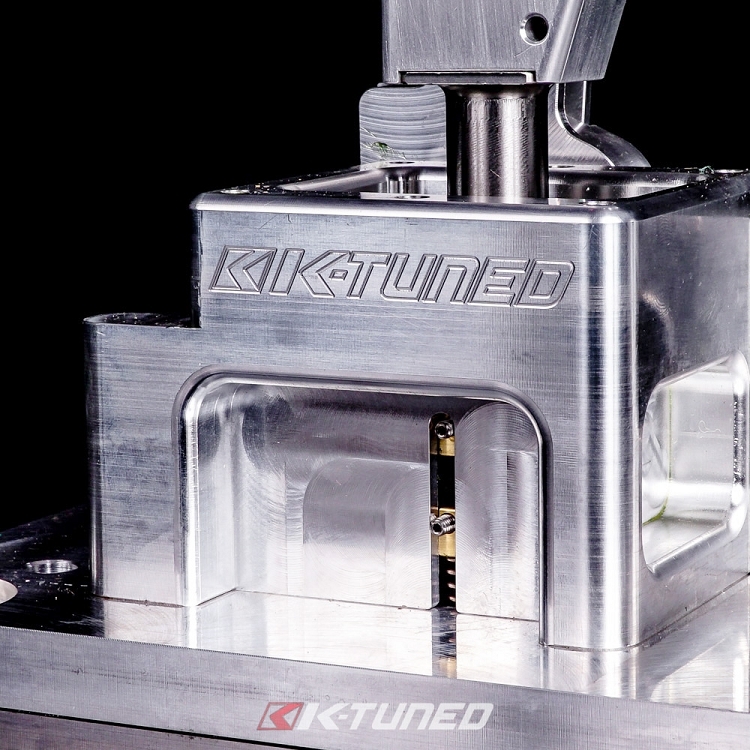 The full billet design is extremely strong and eliminates all the flex and looseness that are felt with the stock plastic box. 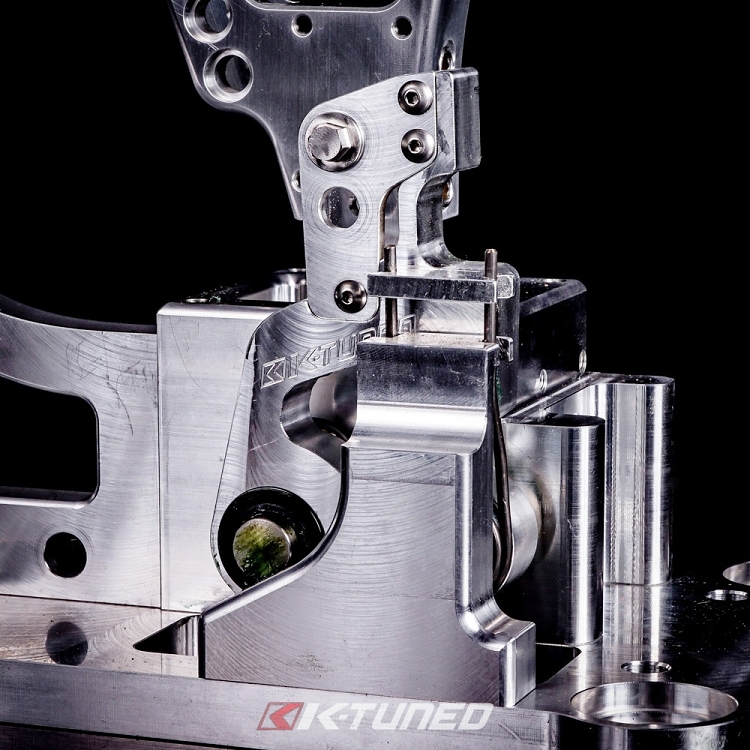 The shift lever and pivot ball are made from solid stainless steel and are seated in a spring loaded brass socket. This combination of stainless and brass allows the two materials to lap together while the springs push up and eliminate ñplayî at the ball. 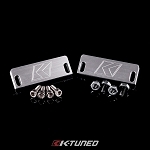 For mounting, there are two different sets of holes on the base, so it can be easily bolted into several stock and K-swap applications. 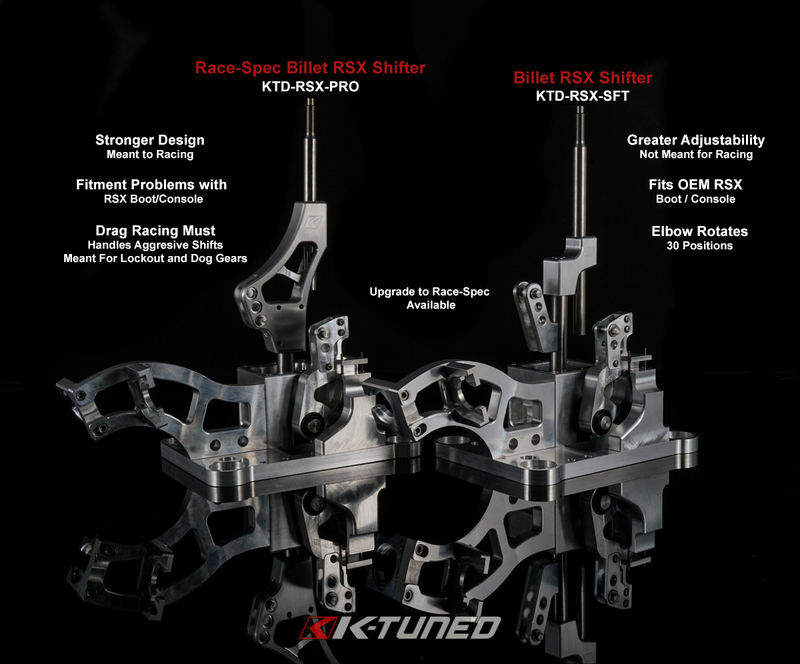 The Race-Spec Billet RSX Shifter was designed for professional hard-core racers and we are pleased to offer them a shifter that is truly "Race Proven". bought this for my dc5 (rsx) starters gorgeous looking piece! build quality is gr8. feels solid and it will last. 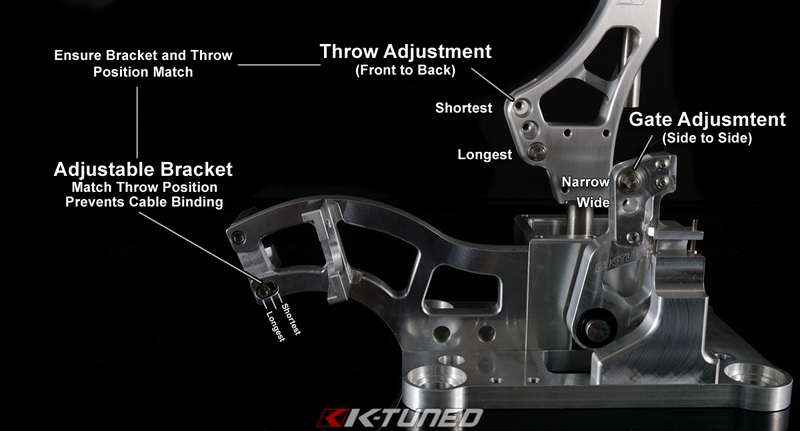 the shifter has the options to change height of shifter arm, also shifter throw! 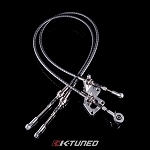 gr8 buy if you have the cash to upgrade to a show piece, custom shifter position , and durability!